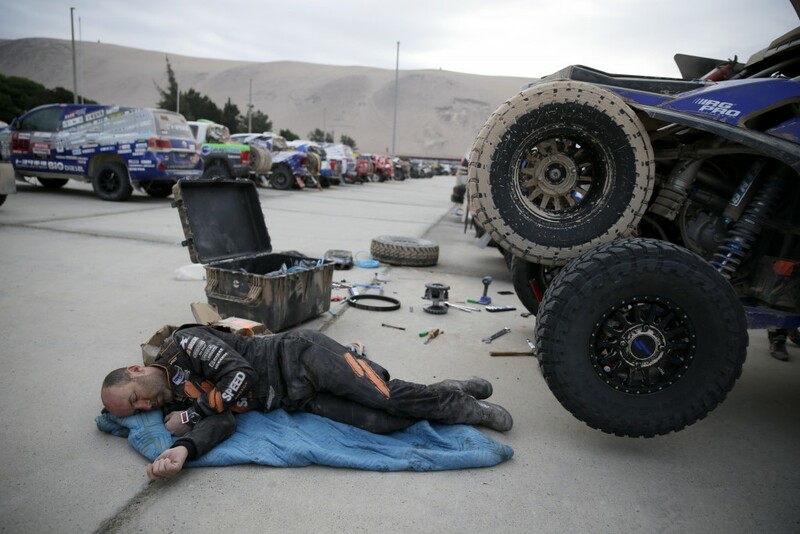 LIMA, Peru (AP) — Sebastien Loeb and former champion Sam Sunderland came back into contention halfway through the Dakar Rally by winning the fifth stage on Friday. 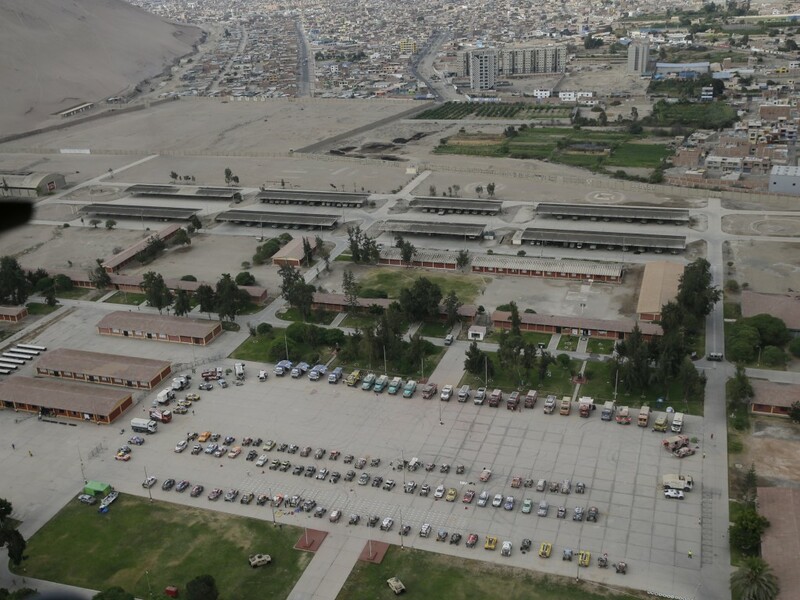 Loeb drove the race's longest stage from Tacna back north to Arequipa masterfully, pulling away about 200 kilometers into the 517-kilometer course to win it by 10 minutes from overall leader Nasser Al-Attiyah. "We pushed really hard from the start to the end of the stage, with no mistakes, no punctures, nothing. We had a perfect day," said Loeb, the nine-time world rally champion. 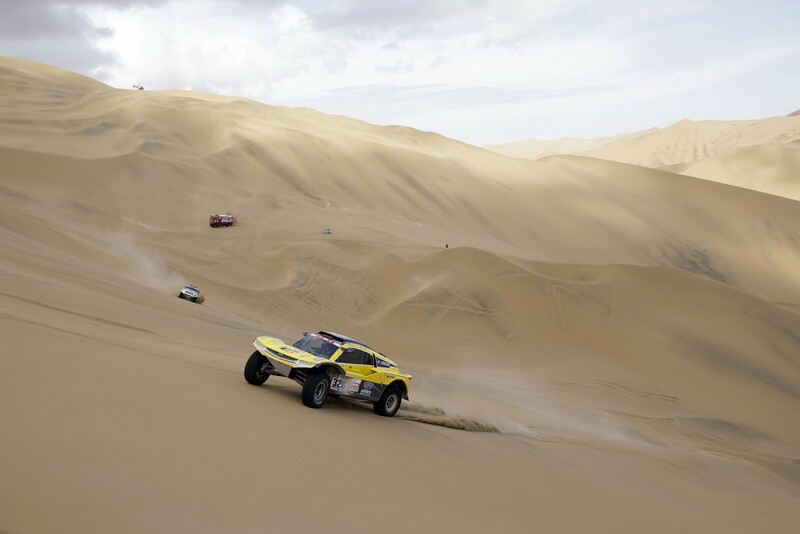 Al-Attiyah stretched his overall lead to 24 minutes over chief rival Stephane Peterhansel, who had to stop briefly about 40 kilometers from the finish. Nani Roma was 34 minutes back in third, Jakub Przygonski was hanging in at 38 minutes down, and Loeb was 40 minutes behind. The stage was eventually cut 100 kilometers short because fog made driving hazardous. Loeb also won the second stage but during the third on Wednesday he made a navigation mistake in fog and lost half an hour. 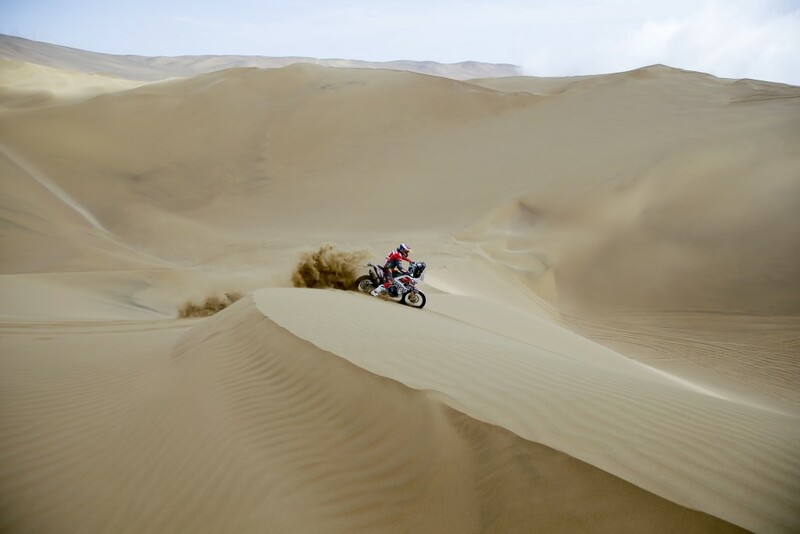 After the rest day on Saturday, there's still plenty of racing in the Peruvian desert to make up the time. Just as the stage finished prematurely because of fog, the start was delayed by fog, and Sunderland was slow to get going. 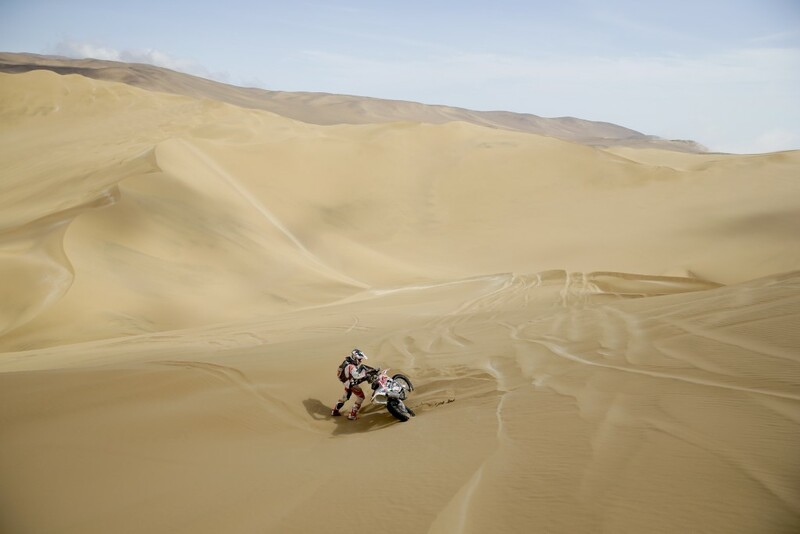 He kept in touch with the leaders until about halfway through the 345-kilometer motorbike stage when Paulo Goncalves crashed and reportedly suffered head and hand injuries. Sunderland stopped to help the Portuguese rider Goncalves, the runner-up in 2015. 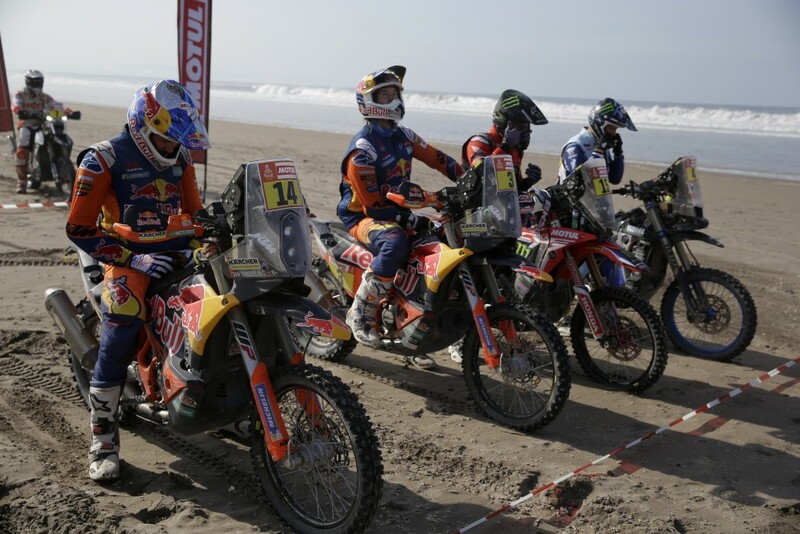 Meanwhile, the motorbike lead swapped between Pablo Quintanilla and Xavier de Soultrait until Quintanilla ran into trouble just four kilometers from the finish. De Soultrait crossed first, followed by defending champion Matthias Walkner, but Sunderland was given the stage win when he was credited for the 10 minutes he stopped to help Goncalves. "I didn't have any reference of how much time I was losing, so I was thinking that my race was going downhill," Sunderland said. "I pushed a lot and finally it was OK.
"It's been really tough, really difficult. If the first five days are anything to go by then, sure, there will be a lot more chaos to come." 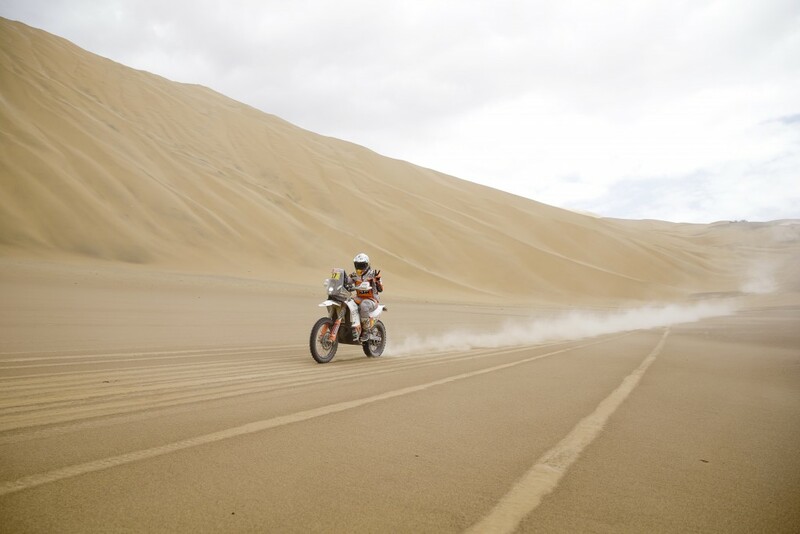 Ricky Brabec, a safe 11th on the marathon stage, remained the overall leader, but was only a minute ahead of Sunderland, whose only completed Dakar of his previous five was a title victory in 2017. That made him the first British champion. "I don't know if it's a dream or if it's reality," Brabec said of being the leader. "It's pretty wild."